In an unforgettable finish, Ottawa Fury FC defeated the Carolina RailHawks, 2-1, at TD Place on Sunday afternoon to move into first overall in the NASL Combined Standings for the first time in club history. Carl Haworth played hero with a dramatic stoppage-time winner and Aly Alberto Hassan scored his first goal for Fury FC in his first start with the club. “I’m just going to say one thing – I coach a bunch of warriors,” Ottawa Fury FC head coach Marc Dos Santos said after the club’s historic victory. Following Wednesday night’s 2-1 victory over the Atlanta Silverbacks, Ottawa moved into first place in the Fall Season Standings for the first time and had the opportunity to move into first in the entire NASL with a win against a burgeoning Carolina RailHawks team. On Sunday, Ottawa did just that – with full contributions from all positions on the pitch. 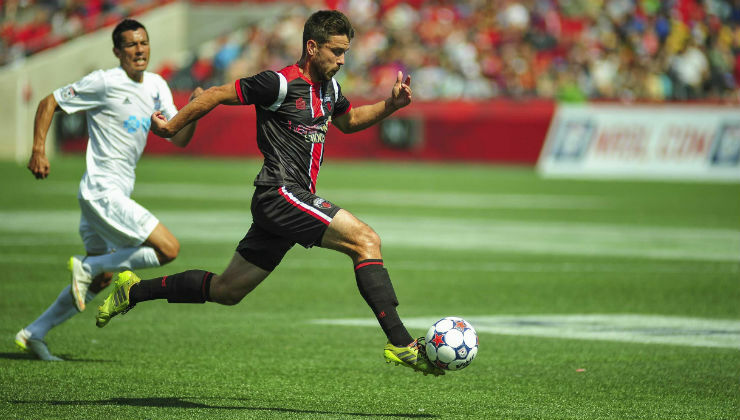 Fury FC controlled the pace early in the contest and pushed the ball around confidently through the first 15 minutes. Former Rangers great Nacho Novo was the key offensive threat on the day for Carolina. His first opportunity came in the 29th minute off a free kick from close range, but Fury FC goalkeeper Romuald Peiser made a brilliant diving stop on the reigning NASL Player of the Week. Peiser continued his dominance in the net with a huge save just before the end of the first half on another close-range attempt by Novo. With his save, Peiser solidified Ottawa’s 1-0 lead going into the half. In the second half, Ottawa’s rejuvenated offense continued to buzz for more chances pressing the RailHawks’ defense. The game would take a major change in the 56th minute when midfielder Wells Thompson picked up a pair of yellow cards for separate fouls on Carl Haworth and was shown red, giving the home side a man advantage for the duration of the match. Playing with 10 men, Carolina was forced to look for offense solely on the counterattack as Fury FC held most of the possession. In the 77th minute, Haworth found space down the right side of the pitch, but his powerful low shot was stopped by Fitzgerald, who was kept busy in the second half. In the 80th minute, Carolina found a way to break through Ottawa’s defense as Novo latched onto a great ball from Simone Bracalello and beat Peiser low despite a great effort from the Ottawa ‘keeper. Five minutes later, Ottawa tried to regain the lead as Haworth and defender Rafael Alves combined for a great chance that saw Alves' header hit the crossbar. Fury FC captain Richie Ryan also had a great right-footed shot from about 30 yards out, but Fitzgerald was there to make the save. Sooner or later, it seemed, the ball was bound to go in – and it did. 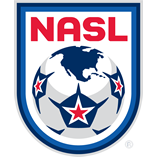 Fury FC defender Ryan Richter sent a cross into the Carolina box and Haworth was there to pot the ball into the net in the dying seconds to give Fury FC the win and solidify their place atop the NASL standings. “That [goal] has got to be number one for me. The atmosphere once that went in was electric, so it was nice,” Haworth said after scoring the game-winning tally. With the victory, Fury FC collected all available points in their three-game home stand and sit atop the Combined Standings, two points clear of the New York Cosmos, who have two games in hand. With Edmonton falling to Atlanta this afternoon, Ottawa built up a five-point lead in the NASL Fall Standings. The club also extended its unbeaten streak to an incredible ten games.